After my pillowcase project I pulled out my scrap basket of fabric to dump the scraps in, and Frodo started playing with the pieces as I was putting them in. 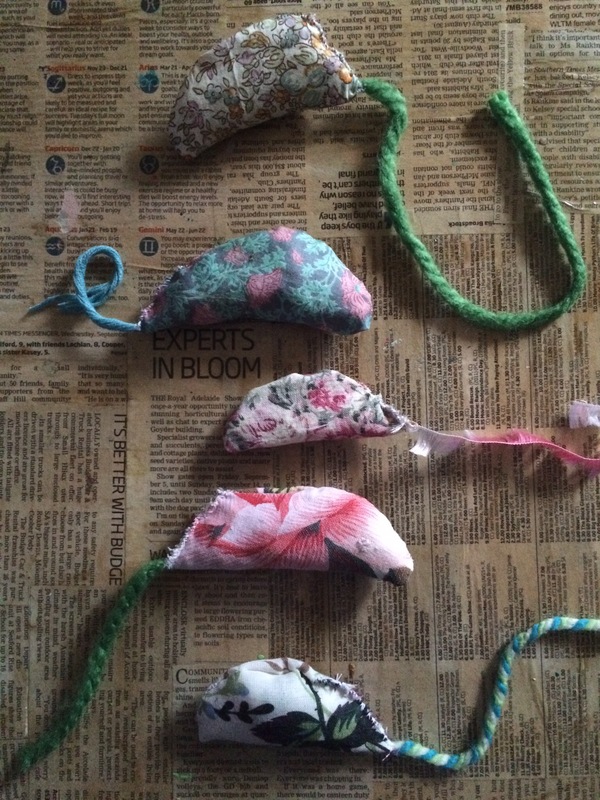 It got me thinking I should make the fur-kids some pretty mice. Even better if I could add some catnip to them! This was a definitely something to do in front of the telly in the evening, a quick hand sew project to use up some scraps. 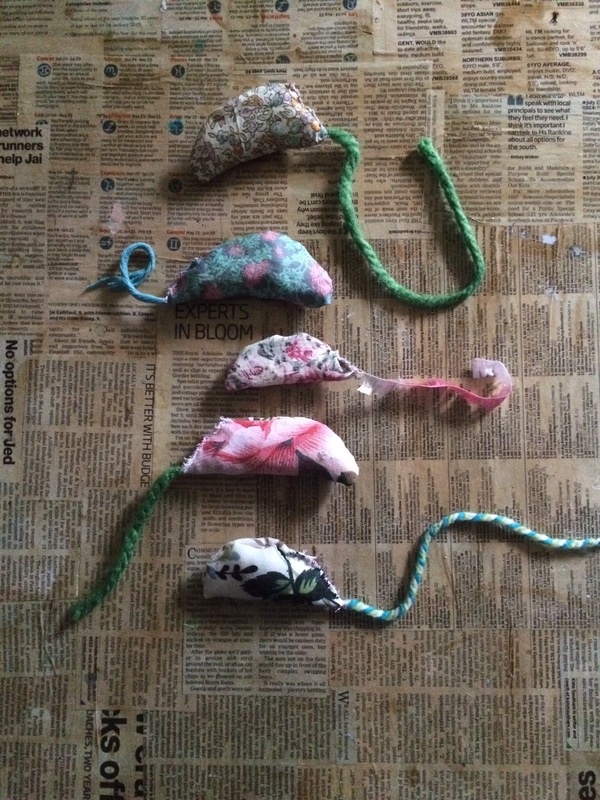 All I needed was the fabric, some dried catnip, some tissue paper for stuffing (safe for kitties if they rip open the mice) and some wool for the tails. A simple job to cut the fabric into circles, then fold them in half right side together, and sew them almost all the way. 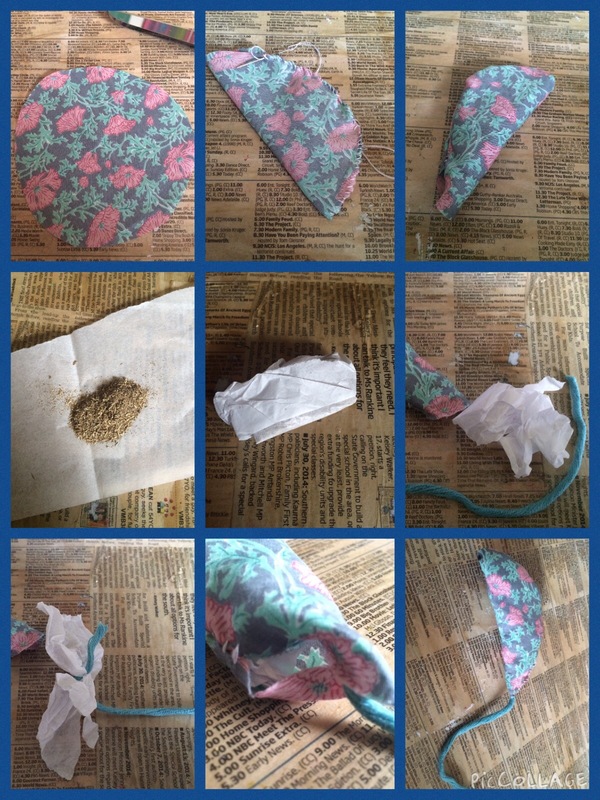 A teaspoon of catnip wrapped in tissue was stuffed into the crescent shape, and more tissue stuffed in to fill it. The last piece of tissue I tied a piece of wool to, to create a tail that wasn’t easily pulled out. Then just quickly sewed up the hole, and they were done. 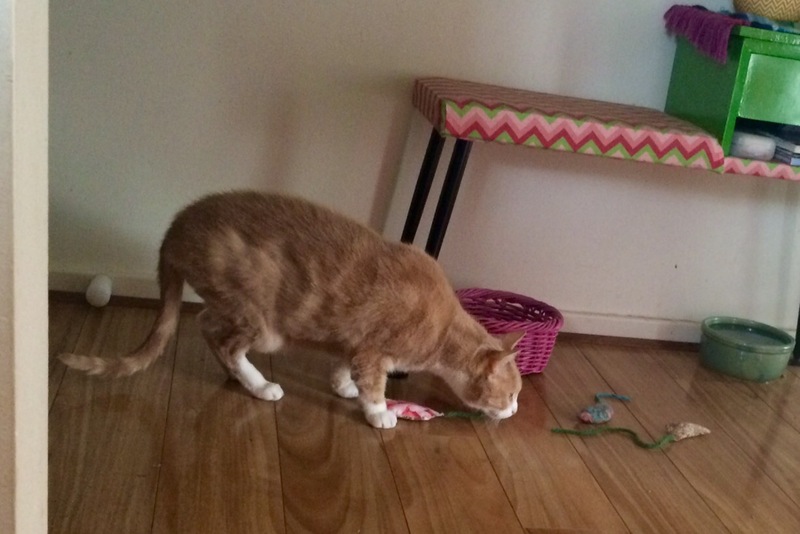 Merlin was very curious about them, but then Frodo moved in in a whirl of fluff, playing with all of them at once! 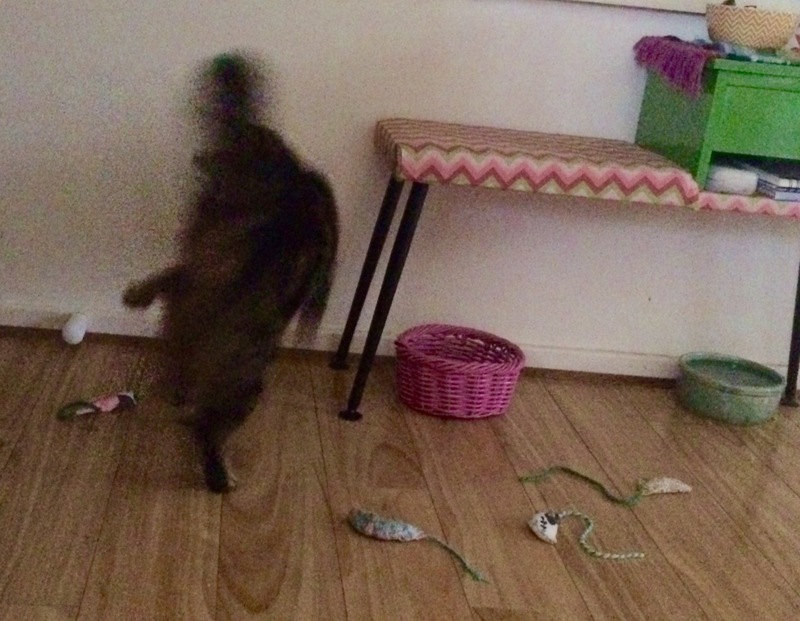 Happy cats with new toys for almost zero cost. That’s a win-win in my book! 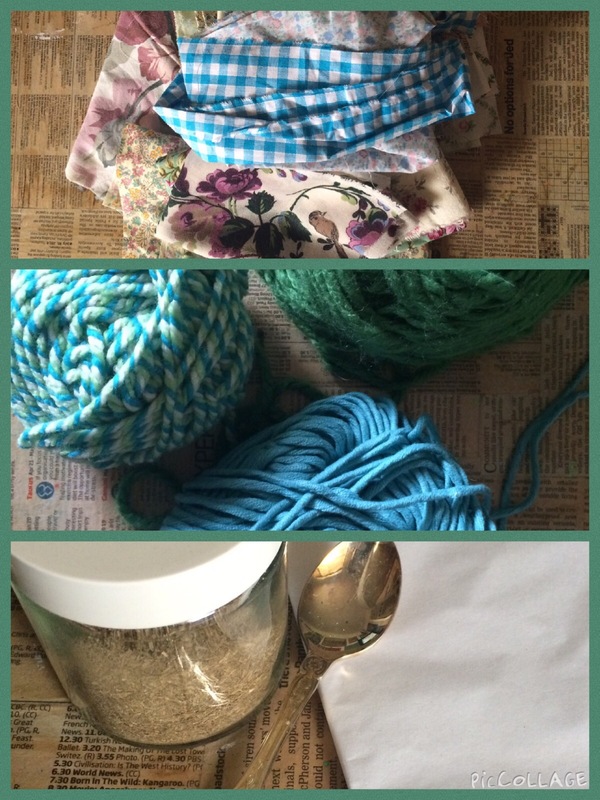 This entry was posted in Craft Projects, Upcycled Projects, Upcycling and tagged Cats, craft, fabric, kittens, mice, recycling, scrap, scraps, sewing, toys, upcycle, upcycled, upcycling, wool, yarn. Bookmark the permalink.